Removes Digital Harshness. Adds Lushness to Vinyl. Drives Headphones with the Utmost Clarity. Absolutely Dead Quiet. Kit Price: Only $699 without tubes. Transcendent Sound presents the best sounding line stage preamp and headphone amp available, both in one box! 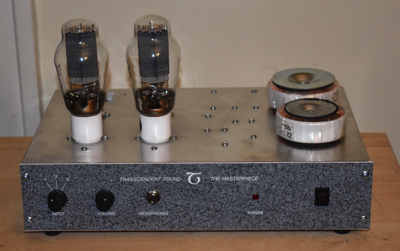 As good as the Grounded Grid preamp is, The Masterpiece has surpassed it. Not only that, there is no need to buy a separate headphone amp. Both functions have been fully optimized and neither has been compromised for the other. This breakthrough design incorporates many features. •By using the 300B, all of the sonic magic it is famous for can be added to any system. •High current output stage drives very long interconnect cables. This feature greatly improves the sound of any system as cable capacitance degrades sonic purity. •Integral 10 second time delay mute circuit protects your equipment from turn-on noises. •Dual outputs. One for the main amps and one for the subwoofer amp. •Super high fidelity headphone output. •Essentially noiseless, virtually unobtainable with tube equipment until now. Use it with the most sensitive headphones and experience a dead black, silent background. Spectrum analysis reveals just how quiet this product is. The largest noise component is at 180 Hz and measures a bit over 50 microvolts. That corresponds to a signal to noise ratio referenced to 1 volt output that is pushing up against 100 dBA, a truly inaudible level. The noise at 60 Hz is mostly caused by AC power signals bleeding into the test setup. Most everything else is far below 10 microvolts. Distortion levels are virtually immeasurable. There is a barely detectable blip at 1000 Hz and the tiniest 3rd harmonic at 1500 Hz. That’s it. Nothing else. Taken at 4 volts peak-to-peak. 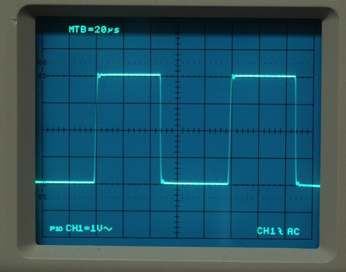 Left picture shows 10,000 Hz square wave is nearly perfect. Only the slightest ringing is barely visible. 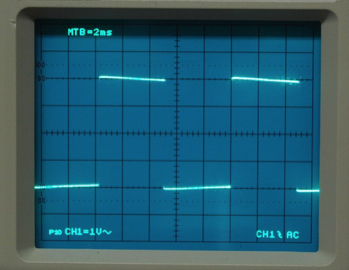 Right picture shows 100 Hz square wave. Minmal tilt indicates outstanding phase linearity in the deep bass. 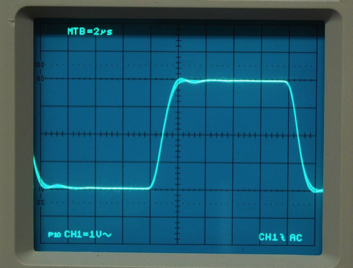 100,000 Hz square wave shows an incredibly fast rise of less than 2 microseconds. Preamps amps aren’t supposed to able to do this. So what are you waiting for? It doesn’t get any better than this and we make the best equipment you can get. Footprint: 15 inches wide by 10 inches deep. Frequency Response: flat, -0 dB, from below 10 Hz to over 100 kHz. Power: 120V or 230V to 240V, 50 to 60 Hz, 72 watts.